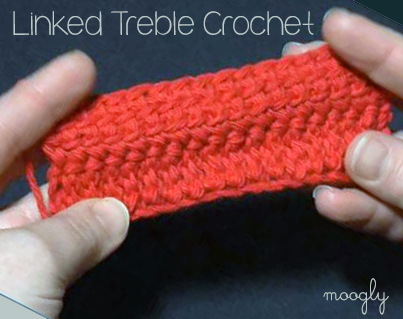 Treble crochet stitches have their upsides (So much height in one row! Tons of drape!) and their downsides (Whoa holey fabric!). 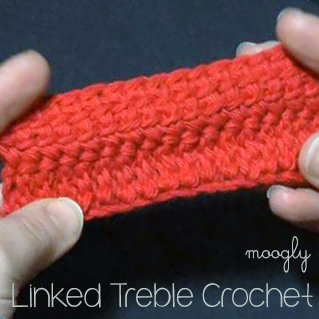 Linked Treble Crochet Stitches are fantastic because they have the height of regular treble crochet stitches, without the holes – and for added value, some nifty horizontal lines to spice things up. They’re usually abbreviated as LTR, and here’s how they’re made. 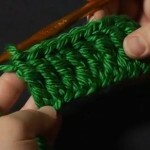 The First Linked Treble Stitch: Chain the desired number of stitches, plus 4. Insert the hook into the 2nd ch from the hook, yo, and pull up a loop. Insert the hook into the 3rd ch from the hook, yo, and pull up a loop. Insert the hook into the 5th ch from the hook, yo, and pull up a loop, You now have 4 loops on the hook. Yo and pull through the first two loops on the hook, yo and pull through the next two loops, yo and pull through the last two loops. Subsequent Linked Treble Stitches: Insert the hook into the upper horizontal bar of the previous stitch, yo, and pull up a loop. 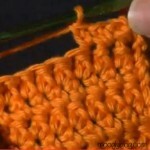 Insert the hook into the lower horizontal bar of the previous stitch, yo, and pull up a loop. Insert the hook into the next unworked ch or st, yo and pull up a loop. You now have 4 loops on the hook. Yo and pull through the first two loops on the hook, yo and pull through the next two loops, yo and pull through the last two loops. To Start a New Row: Ch 4 (counts as first st), and work as for the First Linked Treble Stitch, working into the top of the next stitch rather than the 5th ch. And that’s all there is to making Linked Treble Crochet Stitches! With a little practice you’ll be LTR-ing with the best. As you can see in the video, you can see the horizontal bars from the RS of the row, but not from the back, which makes using this stitch even more interesting! I hope you enjoyed this video! 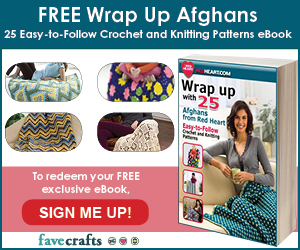 Have you ever made a project with linked stitches? Tell me about them, and let me know what other stitches you’d like to see a tutorial for in the comments! This kind of reminds me of Tunisian Crochet. I’ve been trying to learn that recently and this has the same feel and close to the texture. Thanks. Interesting – I hadn’t thought of it that way but I think you’re on to something there! Please help me with this stitch. I love it but my rows are curling really bad. What do I do to prevent this? I little bit of curling is normal and fixed by blocking, but if it’s curling a lot I’d recommend going up a hook size and making sure that the loops you pull up in the middle are big enough. Linked stitches are a lot like Tunisian, and going with a larger hook size helps with curling there too. This is really a cute project and I look forward go your reply so that I can send it to Joey ASAP!! 😀 No worries, I typo all over the blog lol. I’m sure he’ll love it! I don’t know if it’s my computer or not, but I can’t get the written link for the LTC to work. I’m trying to find a way around it, but thought you may want to know, just in case it’s not only me. I need to refresh myself on how to begin the project. Thanks again, for posting all the tutorials! Ahhhh.. I got the page I wanted. I copied the link. Then pasted them in the box to search your site. DuhMe–>I never noticed that before. That got me to the directions, though. If anyone else reads this, are you having problems with the link? In NO way am I being critical..I Love this site! I’m wondering if something is wrong with my computer. It’s a surface rt, and kind of different…getting used to it. Thanks. 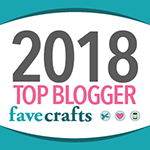 I love using this stitch and am planning on using the linked double stitch for my next chevron blanket. 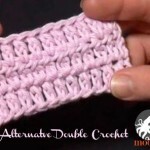 Can you tell me if it’s possible to do a linked double crochet 3 together? Thanks! I would think so! I haven’t tried it, but walking through it in my head I think it would work! I probably haven’t explained this very well. Uhm… TAMARA??? do you get what I mean?? I also did it with a triple dec, after I read the post, and it was the same, I had to yarn over at the beginning of each stitch, instead of putting my hood through the top loop of the previous LTR. I think so… whatever works! 😀 I really believe if it works and you like the result, then go for it! I’m planning to use this stitch (LTR) to crochet my grandson a hat-scarf combo, with button up-able ear flaps and an aviator style flap on the front. I always make a square swatch, then wash it, to see how it will turn out, check to see if it shrinks, etc. My swatch rows are bumpled-the rows curve front, back, front,… I didn’t edge the swatch, which is 4.5″ square. Will the rows still have the bumpled look in the finished project? I’m using the hood from a jacket that fits him to use as a size pattern for the main part of the hat. The flaps I can use a different stitch, but the scarf concerns me also. It won’t have a large edging. Does anyone have any experience with this type of problem? Thanks! Hi Wendy! I can’t say I’ve had that issue. I’m wondering if it is a tension thing? Thanks for your response. I usually have a light hand in my crocheting. I appreciate your advice. 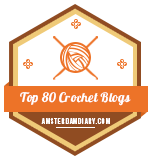 Also, I apologize to you, and to the other crocheters here, for jumping in with a reply to another person’s question. It was not my place, nor to even think that I would have better advice. I have chronic physical crap going on; and with baking, travelling, meds, & being very tired, I didn’t think before I posted a reply. Apologizing on here instead of b/c I did it on here. Hi Amina! When you pull a loop through, that become another loop on the hook. So when you pull through two loops, you have the loop you just made on the hook now. 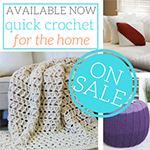 Just like when you make a single crochet stitch, you, have two loops on the hook, yo and pull through to finish the stitch – you have a loop on the hook at the end. 🙂 Does that make sense? Awesome video tutorial as always. You explain everything so well. Thanks so much! Hi Lisa! There is not a video or pattern that I know of. Do I work into the turning chain 4 to finish off the row. My current bed blanket is a 60 by 80 inch, three strands of worsted held together, linked double crochet that is luscious. I sleep under it every night and I cannot speak positively enough about how it brings DC from “holey fabric” to a solid piece that still breathes so I don’t overheat. 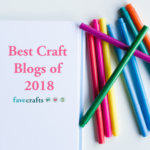 Thanks for sharing this stitch and I look forward to seeing what gets made by your creative blog readers. 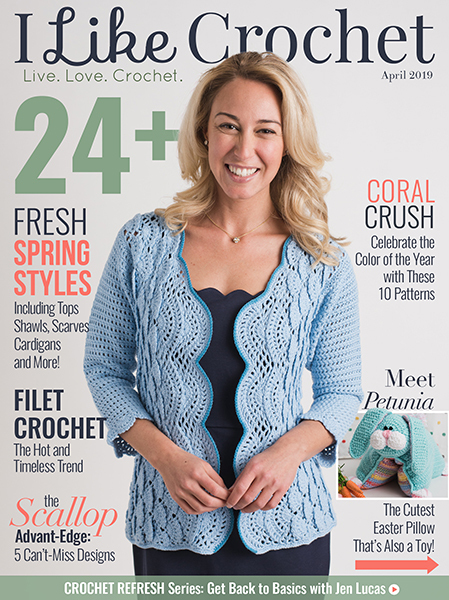 Hi Tamara firstly I`d like to thank you for a truly great crochet knowledge center, another great video and resource. 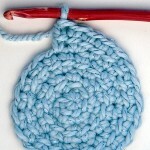 Someone else posted my question, I´m trying to make this stitch on the round, when joining it there´s a large gap, is there any way this could be avoided? I´ll just stitch it together at the end with a needle othewrwise but wanted to check if someone knew how to do it.